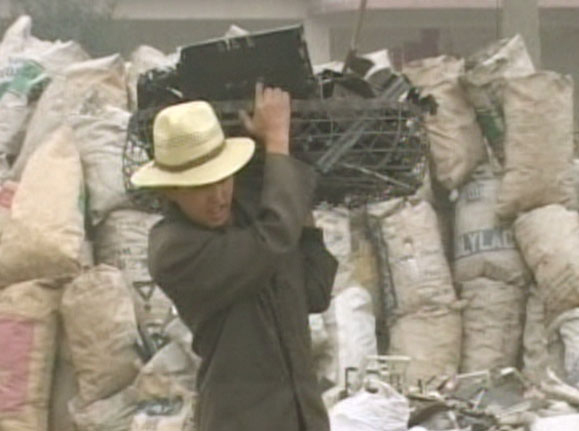 Every year, 35 million tonnes of electronic waste is exported to China to be scrapped. There the rubbish is broken down by hand, poisoning workers and polluting the environment. "Smoke from the computers is too strong to breathe", complains one disposal worker. "I feel dizzy and can't see any more". 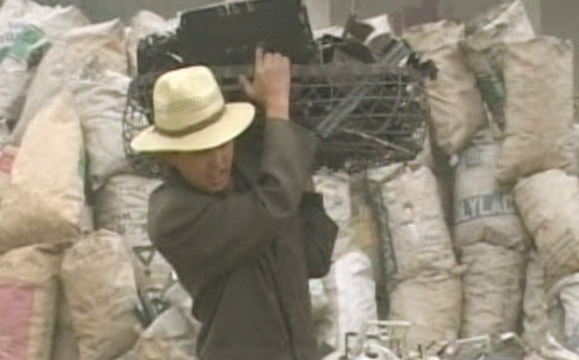 Many employees at the electronic disposal plant suffer from respiratory illness or skin diseases. They work for ten hours a day, with no protection from the hazardous chemicals.